Nintendo Switch enjoyed barnstorming sales throughout last year, according to the latest statistics from US market research company NPD Group. The figures show that the Switch was the best-selling system in the United States – both in terms of dollars, and the number of units sold. The Switch has blitzed the previous record established by the PlayStation 4 in 2015. The latest Nintendo console had stellar sales all year, but had an immensely strong December when it enjoyed the best unit sales of any console in that month since 2010, and the best dollar sales since the Nintendo Wii in December 2009. Although it was massively successful with console sales, the Nintendo Switch did not make the podium in terms of software sales. Shocking absolutely nobody, Red Dead Redemption 2 was the biggest-selling game of last year, followed by Black Ops 4 and NBA 2K19. These titles are available across platforms, including rival Xbox One, and Sony PlayStation 4. The Big N did appear in the best-selling video games of the last year, according to the figures assembled by market research firm NPD Group. Super Smash Bros. Ultimate placed fifth after a very strong December. Nintendo Switch bridges the gap between a traditional home console and a portable gaming system. The console can be played on-the-go using the built-in touchscreen display, or in 1080p HD on the big screen using the bundled dock. The ability to enjoy the console on a sprawling living room set-up, only to resume your in-game campaign a few hours later when you're on a plane offers a huge amount of flexibility and enables the Nintendo Switch to appeal to a larger potential audience than its TV-tethered counterparts. In fact, the unexpected worldwide success of the Switch has purportedly led to Sony reconsidering its plans with the next-generation PlayStation, including investigating a portable component to the console. 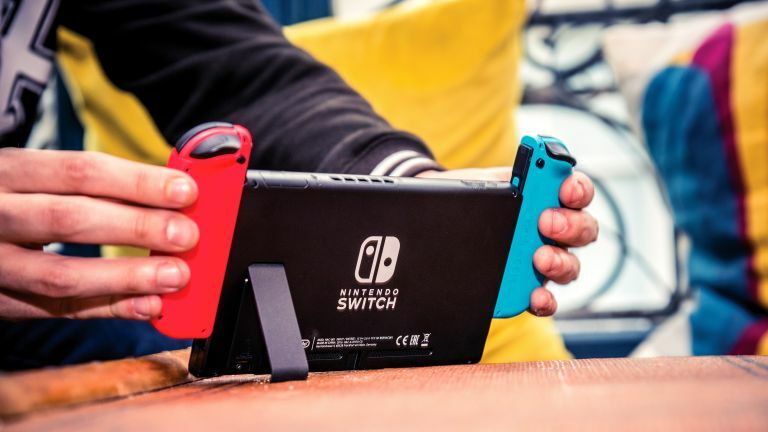 The Nintendo Switch, which was released on March 3, 2017, has seen the launch of a number of popular titles during its short lifetime, including new entries into the Mario Kart, Legend Of Zelda, Donkey Kong, Pokémon and Super Smash Bros. franchises, to name a few.